Businesses may want to listen a little more carefully the next time shoppers give them feedback. New research has found that a majority of shoppers feel that their feedback is falling on deaf ears, and as a result, many shoppers say their loyalty to certain brands is being negatively affected. 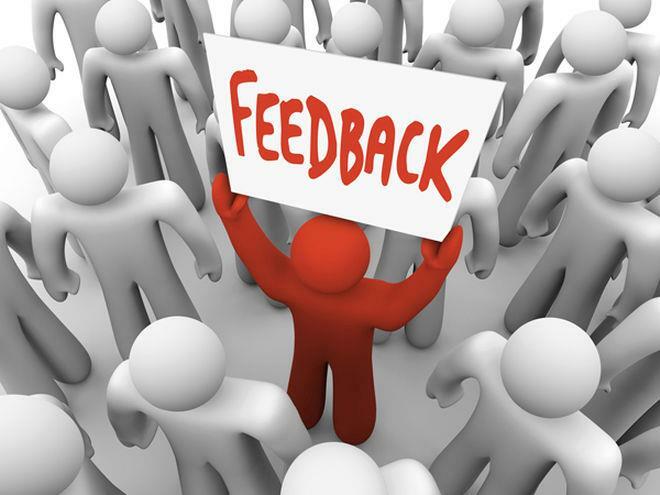 According to the research, 85 percent of consumers said they have given some form of feedback to a brand or company, but just 46 percent of those people say they feel their feedback was used in a constructive way. That simple fact could be costing businesses in a big way. According to the research, 83 percent of consumers said they would be more loyal to a brand if they knew that brand would act on their feedback and make improvements. "Our research proves that consumers really do want to provide feedback and engage in conversations with brands," said Gary Edwards, chief customer officer at customer experience management provider Empathica, which conducted the research. "But at the same time, they are clearly disappointed by not having any visibility into what happens afterwards. Feedback remains a one-way street and what consumers are yearning for is two-way dialogue. They want to know that their feedback is being acted upon in ways that will drive meaningful changes to the customer experience at the locations they frequent." The research also found that two-thirds of consumers were most likely to share feedback online. Just 13 percent of people said they would give feedback in person. Reasons for giving feedback were split, the research found. Half of respondents said they would give feedback in exchange for a discount or other incentive. On the other hand, 56 percent of peoplealso said they were willing to give feedback simply to provide a positive or negative experience of the brand. "Unfortunately, a lot of retailers fail at creating the transparency that customers desire. Admitting some areas of the business require more attention builds credibility and helps retailers realize the huge potential for brand advocacy," said Edwards. "There are large numbers of customers out there who are motivated to provide feedback for the brand. The challenge is identifying them and making it easy to share their experiences not only with the brand, but also with other local consumers." This research was based on the responses of 6,500 consumers in the United States. The research was conducted by Empathica.